After Lincoln’s assassination, the Union League of Philadelphia issued mourning ribbons for its members to wear and grieve the fallen President. The ribbons were worn during Lincoln’s funeral procession in Philadelphia, where the President’s body was open for public viewing at Independence Hall. 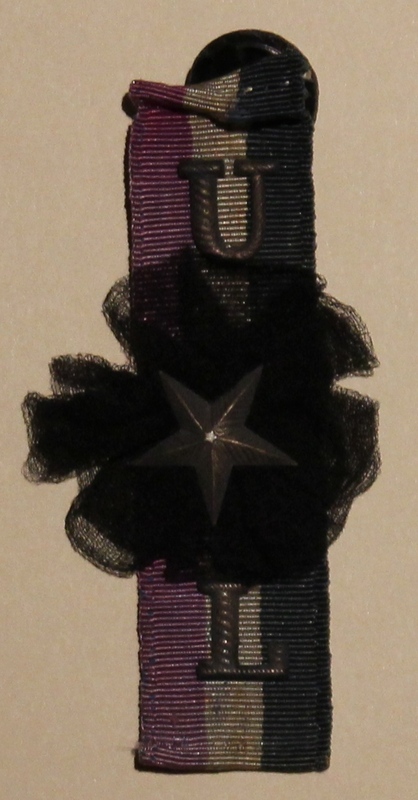 This ribbon is a red, white, and blue silk ribbon with metal “U” and “L” letters and a black gauze flower in the center.